Late last Friday afternoon (30 March) the European Commission said that it approved the IAG (parent company of British Airways) bid for bmi, subject to various conditions. A predicated outburst erupted from Scotland where there will be no competition now on the major trunk routes into Heathrow. Virgin Atlantic had already virtually conceded its opposition to the takeover but is likely to obtain some long haul slots. The deal includes IAG committing to carry connecting passengers to feed the long haul flights of competing airlines out of Heathrow but how that works in a marketing sense remains to be seen. British Airways will have just over 50% of slots at Heathrow, still less than Air France at Charles de Gaulle, KLM at Amsterdam and Lufthansa at Frankfurt. Which bmi services, where they were the only British operator, are axed remains to be seen with BAA also anxious to sort out its future tenants for terminals two and three. Airlines should give stranded passengers better information and immediate help, MEPs said in a resolution adopted by the European Parliament on Thursday. They called on the European Commission to tighten the rules on help and compensation for flight cancellations or delays over six hours. The immediate reaction of some airlines was that the suggestions were “unworkable”. 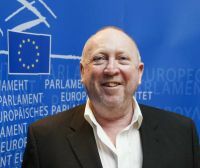 "While EU legislation has already gone some way towards improving the rights of air passengers, more needs to be done to get them a fair deal and to ensure broader rights for all travellers," said Keith Taylor of the UK Green Party before the vote. He added that the definitions of "extraordinary circumstances" and "cancellation", in particular, need to be clarified. Construction is about to start on a new Hilton at Amsterdam Schiphol Airport. The hotel will replace the current Hilton property and is expected to open in 2015. 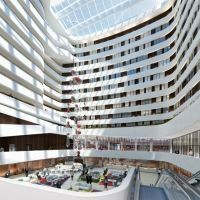 Facilities at the hotel are set to include a ballroom and 23 meeting rooms, speciality restaurant and bar, executive lounge, spa and fitness centre, light-filled atrium lobby and underground parking offering 138 parking spaces. A sheltered walkway will also connect hotel guests directly to the international airport terminal. The new Hilton hotel will be situated in a prominent location alongside the access roads to the international airport terminal, near the existing Hilton hotel, which will remain in operation until the opening of the new property and then be demolished. The new cube-shaped building, which will feature rounded edges and a diamond-shaped façade with diagonal lines, has been designed with a view becoming of an airport landmark. Budapest Airport last week welcomed the first flight of Jet2’s newly inaugurated service from Leeds Bradford (UK) to Hungary’s capital city. The flight, which landed ahead of schedule, carried a virtually full load with 142 passengers arriving on board the Boeing 737-300. 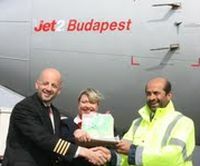 They were welcomed by representatives from the airport who presented the Jet2 crew with a traditional Hungarian marzipan cake. You too can drive a McLaren MP4-12C sports car (12C) following an exclusive deal between Hertz and Premiere Velocity in the UK. Certainly one of the great road cars of the decade the McLaren MP4-12C has been designed and developed by a world-class team of engineers and test drivers to set new standards in performance for the road. The 12C features a 3.8-litre V8 twin turbo engine, which produces 592hp and 600Nm torque. Demonstrating McLaren’s motorsport DNA, the 12C’s unique carbon fibre ‘MonoCell’ chassis weighs just over 165 lbs. The McLaren Airbrake and McLaren Brake Steer support 12C dynamics and bespoke ProActive Chassis Control suspension and SSG transmission deliver ultimate track times and supreme comfort on the road. 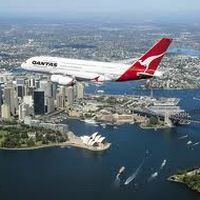 One of the world’s great “air links in the waiting” became fact last week when Qantas inaugurated a non-stop Sydney to Santiago service. The three times per week 13-hour plus flight is a code share with fellow oneworld member LAN who already fly between Auckland (New Zealand) and its home base. Operating the service is a Boeing 747 that has been refurbished with A380-style cabins, seats and in-flight entertainment. From next Saturday (7 April), SATA International will resume direct flights from the UK to the Azores. The service operates weekly until 27 October, with early afternoon departures from Gatwick to Ponta Delgada on Sao Miguel, the largest of the Azorean Islands. SATA is an independent airline based in the capital Sao Miguel, established in 1990 and operating eight Airbus A320 series aircraft. Flight time is just under four hours. SATA offers up to four daily non-stop flights to the islands from Lisbon. Located in the middle of the Atlantic nearly one thousand west of Lisbon. The nine islands of the Azores are Europe’s most westerly point. They are connected to each other by air and have a total population of just under a quarter million. 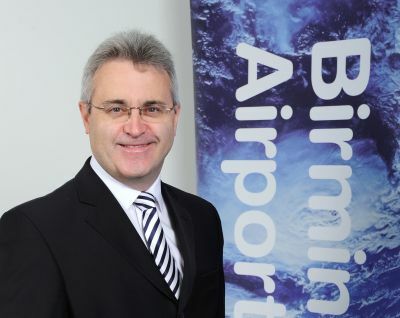 Paul Kehoe (52) is one of the most experienced Chief Executives of any airport in the UK. He started his aviation career as an air traffic controller in the Royal Air Force followed by spells with BAe, Serco and TBI where he managed in succession Belfast International and Luton airport’s and became a main board member. His present role dates from October 2008 joining from Bristol Airport where he was CEO. His only interest in the BA takeover of the former BMA is bmiBaby. What is its future? A World-Class City-region, whether in London, the Midlands, the North West or the North East, deserves world-class aviation links. Without them, businesses and jobs will drift away, or accrete where those links are strongest. Take a look at the successful M4 corridor – and then ask whether Heathrow helps the whole UK economy in the way that it is sometimes claimed. ‘The fruit does not fall far from the tree’. It is simply not true that “Britain needs a bigger hub airport”. This ideology, often promoted by those who could directly benefit commercially, conflates concern about Britain’s economic growth with arguments for a third runway. Heathrow is allegedly spending £3 million on a PR campaign that includes adverts targeting MPs at Westminster Underground with a thinly-veiled threat. “UK economic growth. This is your final call.” No wonder MPs and membership organizations seem terrified to question established wisdom. Heathrow has also hijacked the ‘hub’ term for its own purpose. It is by no means certain that Heathrow is a hub airport. It is often argued that Heathrow must deal with transfer passengers. These passengers, valuable to shareholders of airports, are arguably of questionable worth to the wider UK economy, as they pass through; is this really an optimal use for Heathrow? Another ruse is that without R3, hub operations would move from Heathrow to Mainland Europe. If Heathrow is so worried about this, why are there already 1,000 flights a week from there to European hubs – gulping up long-haul capacity? And it is often said that flights have to concentrate on Heathrow to achieve ‘critical mass’ – i.e. only by funnelling people to there from all over the UK, will a flight be viable. In that case, why are there almost three dozen flights a day between London and New York? Wouldn’t that over-supply (with ‘give away’ lead-in fares) be better redeployed to serve emerging markets in China and the Far East? A single hub airport cannot answer London’s needs, let alone Britain’s needs. Heathrow already handles 70m passengers a year. The Department for Transport estimates Britain will need space for 125m more passengers a year by 2030. There is no way that Heathrow, even with a third runway, can possibly answer this demand. And an Estuary Airport would require a new town the size of Manchester to cater for the workers and their families – all in a region already cited as needing five new reservoirs. London’s business leaders are tearing their hair out. This situation doesn’t help business people in the regions hoping to attract investment to their own local economies. The situation demands that we look beyond Heathrow, and consider how our other national airports, including Birmingham, can help. Birmingham handles 9m passengers and has the spare capacity to double this figure to 18m passengers today. Existing plans increase capacity to 36m passengers. Better utilisation of Birmingham would free up slots at Heathrow for the SE market. Airports like Manchester, Liverpool and Edinburgh can make a similar contribution. All would benefit from better connectivity. The Government’s aviation review must first consider how best to use existing resources. Any other solution is many years away. If Heathrow charged market rates, reliability would increase and there would be more slots for long-haul travel. Heathrow should be allowed to charge more. There could be a congestion charge on busy airports. This is something the Government should consider. There should be greater air-rail interoperability, with through ticketing, and the ability of travellers to use a search engine that consolidates all travel modes, to provide the optimum ‘door to door’ journey based on criteria of cost, comfort, journey time or convenience. Whether a traveller changes at somewhere called Heathrow for a train to London, or somewhere called Birmingham to do the same, is irrelevant. It is the criterion above that matter. A modern economy demands more than one crowded airport. That puts all of our eggs in one basket. We risk our National resilience at our peril. We need a fully integrated transport network, with aviation providing major ‘Ports of Entry’ across the UK (Germany has 5 and is building number 6). This issue is too important for the aviation lobby. The Government’s review must look across departments, and visualise the UK economic landscape in a generation. 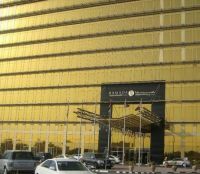 The existing Ramada Plaza Doha is to be converted to a Radisson Blu in the third quarter of this year undergoing a US$18m renovation. The future Radisson Blu Hotel, Doha, is located in the city centre with a 10 minute access to the current international airport and West Bay business district. The hotel offers 583 rooms and suites; 6 bars and 12 restaurants. It also comprises 2,000m2 of conference space and leisure facilities include two gymnasiums, three swimming pools, saunas, squash, tennis, basketball, and badminton courts, and treatment rooms. 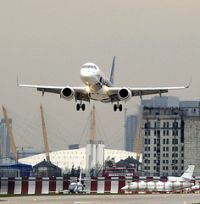 Airline members of the European Regions Airline Association (ERA) have reported average scheduled passenger growth of 4.8% in 2011 compared with 2.5% in 2010. While this figure is encouraging, it must be remembered that the closure of airspace caused by the volcanic ash disruption in April 2010 created a distortion which has resulted in a somewhat inflated 2011 growth rate. Load factor in 2011 increased to 66.9%, up from 66.4% in 2010, demonstrating that airlines are continuing to utilise capacity efficiently to match demand. However, Revenue Passenger Kilometres (RPKs) growth dropped significantly from 7.4% in 2010 to 4.3% in 2011. By contrast, Available Seat Kilometres (ASKs) increases have remained stable with identical growth (4.1%) in 2010 and 2011. Interactive TV is coming to the Hyatt Hotels Corporation. 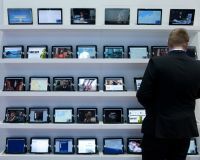 The Chicago (USA) based company announced last week that it is transforming the standard in-room television into a fully connected, interactive entertainment centre and virtual concierge at its full-service properties across the US, Canada, and the Caribbean. Once the installation is complete, guests will have access to a range of offerings that, depending on location, include interactive entertainment, hotel services, local information, and advanced features that go well beyond the technology guests today expect to see. The Isle of Man (Ronaldsway) is to lose its London City route from 10 April leaving the island only connected to the capital via either Gatwick or Luton. On the positive side British Airways is expanding its aircraft fleet and route network where it is now officially the largest operator with the highest number of routes and customers. 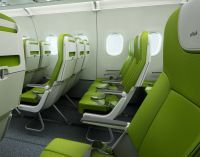 The airline is to take delivery of another Embraer 190 in the late summer, bringing the total fleet size to 14 aircraft. It will be used for a new year-round service to Venice and to increase frequency to the key business destinations of Frankfurt from March and Glasgow from September. The new route to Venice, gateway for Northern Italy, will be launched in September and there will be one extra flight a day to Frankfurt and Glasgow. The Abu Dhabi based Rotana hotel management company is embarking on a US$750m investment programme to help the group to maintain its position as the largest hotel brand in the Gulf region. Before the end of the year it will open seven new hotels including its first properties in Bahrain and Jordan and its second in Qatar. The UAE gains four additional properties. Rotana will manage around 14,000 rooms across the area by the end of 2012. Recent figures from the Hotstats survey show a robust and growing Middle East hospitality sector. 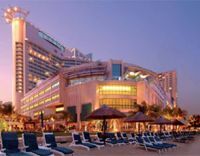 Abu Dhabi reported a surge in occupancy in October while hotels in Dubai were as full as they were in 2007. Abu Dhabi registered the largest increase in occupancy in the region, growing 9.7 percentage points to 82.8% in October 2011 and Dubai 87.3%. Work has started at the once controversial Toronto City Airport on a pedestrian tunnel to connect the terminal to the mainland. Rather like London City the island airport is such a success that it is hard to believe that someone once ran for mayor opposing it. Around 1.5m passengers passed through in 2011, double the traffic in 2009, and officials expect that number could reach 2m this year. Thanks mainly to the success of Porter Airlines, the island airport has become a popular and convenient downtown alternative to Pearson. The airline operates 26 of the locally built Bombardier Q400 turboprops and has options on four more. It serves around 20 destinations, Air Canada Express only competing to Montreal. Currently accessed only by ferry the CAN$82.5m 240m tunnel will provide four moving sidewalks, eliminating the wait for the ferry and turning the surge of people coming off the boat into a steadier, more manageable stream. Shown for the first time at the Asian Business Aviation Conference & Exhibition in Shanghai was Boeing’s latest update of its very successful 737 based business jet. The aircraft, a 737-700 with -800 wings and other modifications for longer range, was delivered last month to a private businessman in the United States. It is the second BBJ for this customer. This is the first BBJ to enter service with Honeywell's Ovation Select digital system allowing the passengers to be just as productive onboard their aircraft as they are in the office. "Ovation Select offers the latest technological advancements to deliver seamless and easy connectivity – whether passengers are connected via their BlackBerry, using their laptops or iPads or conducting a video conference call," said Tony Brancato, Vice President for Business and General Aviation Aftermarket at Honeywell Aerospace. 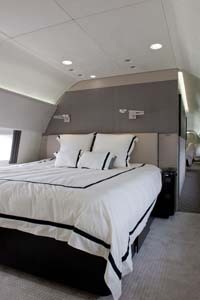 This particular BBJ can carry up to 19 passengers and has all the amenities of a home, including a large personal stateroom with a king-size bed, private lavatory and shower. The aircraft is fitted with 42-inch and 46-inch high definition monitors. 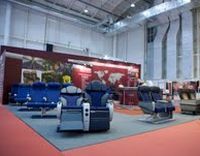 Whilst it ponders on its future aircraft orders easyJet is going ahead with trials of seat selection saying that it wants to take the stress out of flying. The airline is clearly moving away from a totally budget concept and now says it is very much offering “value products” coupled with a friendly service. As regards future orders the airline’s current fleet is expected to increase to around 200 over the next year or so. 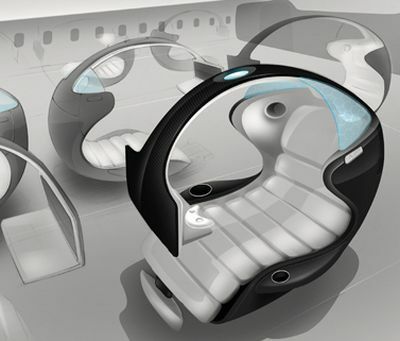 Future types could include the Boeing 737MX, Airbus A320Neo and the Bombardier C series. The airline successfully completed a change from all Boeing to all Airbus earlier this year. Commencing this week the airline has started a seat selection trial on the Luton routes to Alicante, Glasgow, Istanbul, Malaga and Sharm el Sheikh. Passengers are being asked to either pay for a premium position (£12 front row and exit rows and £8 rows 2-6 on A320), or for £3 purchase any other seat. If passengers want to take a chance on the seat there is nothing further to pay. Caribbean Airlines is set to commence direct London to Trinidad service on 14 June. The former BWIA West Indies Airways, which now includes Air Jamaica, has its main hub at Piarco International Airport (POS). For the new operation a former LAN Boeing 767-300ER is being acquired, configured 30 Business Class and 191 in Economy. Boeing and oneworld member Japan Airlines have celebrated the delivery of not one but two 787 Dreamliners, the first to be powered by the General Electric GEnx engines. To date eight 787s have been delivered, all to Japan, the six for ANA. "JAL will be the first airline to start new routes that have never been flown before by taking full advantage of the efficiencies of this aircraft, starting with the Boston service next month and San Diego later this year," said Yoshiharu Ueki, President of Japan Airlines. "The 787 with GEnx engines has the performance economics that JAL is looking for to ensure route profitability, and also the enhanced in-flight comfort that our customers will be delighted with." The 747 (left) may look bigger than usual and it is, at 250ft (76.25m) 18ft longer than the series 400 and with a 13ft larger wingspan. Passengers will find it a combination of 787 interior, without the larger windows, but with the LED lighting and 21st century cabin styling. From a technical point of view the Boeing 747-8 Intercontinental, with its GEnx engines, is said to be to be 30% quieter, 16% more fuel-efficient, and has 13% lower seat-mile costs with nearly the same cost per trip. 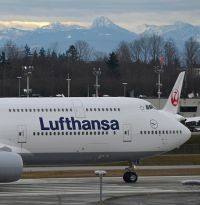 Lufthansa, the lead customer, is expected to take delivery of the first of 20 on 23 April, and soon afterwards replace the current 747-400 on the Frankfurt – Washington DC route, a nine-hour sector. 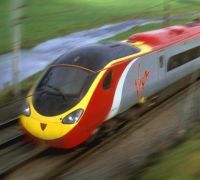 Longer trains are set to enter service with Virgin Trains, providing 150 extra Standard seats on some of the busiest services on the West Coast Main Line. These will initially work services on the London to Birmingham route, but as more 11-coach trains come into service they will also operate some of the busiest trains on the Manchester, Liverpool and Glasgow routes. By the end of April they are expected to be running on over 30 services every weekday. With the sad fact that lawyers are now getting more and more involved with the simple art of travelling and ABTA industry partner K&L Gates expect a record turnout at the “essential travel law conference”, an annual event since 1998. The gathering takes place 29-30 May 2012 at K&L Gates LLP, One New Change, London EC4M 9AF. 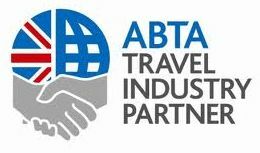 Speakers are confirmed from ABTA, Civil Aviation Authority, Department for Transport, K&L Gates, Royal Caribbean Cruise Lines, Thomas Cook, Travel Republic, White Hart Associates, as well as many other travel businesses and legal specialists. This is not a travel joke but since it was supplied by our friends at IFALPA (International Federation of Air Line Pilots Association) that makes it OK.
An officer was sent to her house to investigate, and he returned one hour later with a black eye. "Did you get hit by the same person?" his Sergeant asked.